My friends and I decided to make some Valentines project to share with each other. Here are the 5 ideas I came up with, most of which started with a simple sketch. I used some new supplies and some old supplies, so I was happy to have done both! Something Old: I have had this rose heart stamp for a long time, and don't think I had ever used it before. But, I think it is lovely, and I think this is my favorite card of the 5. Something New: I recently purchased this tree border die from Quickutz as well as the owl. I also used some new paper from My Mind's Eye. Something Else Old: I used some heart sequins from Doodlebug that I have had for a while. Something Else New: This card features a new stamp set, punch and paper from Stampin' Up's Love You Much Bundle. 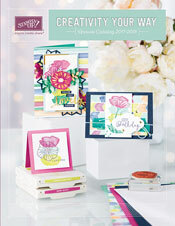 They are all featured in the new Spring-Summer 2009 Idea Book and Catalog. The bundle is 20% off now through January 31, 2009. Something Borrowed: I cased this card from Split Coast Stampers from a member named musicteacher79. Here was the original: http://www.splitcoaststampers.com/gallery/photo/1138827. I did add some of the Candy Lane DSP to the bird bodies. I purchased this set from the Stampin' Up! 2008 Holiday Mini Catalog called Deck the Halls. When I first saw this set, my first thought was how cute it is. My second thought was wondering how I would use the set, and thinking it might be hard to use. My third thought was a whole bunch of ideas for using it. So, I made a list and then I made the cards! These were my Christmas / New Year's cards that I sent to friends and family. It was fun to make 5 of each design with so many different designs. I think I'll continue that tradition next year. Sometimes making 70 of only 1 or 2 designs gets a little tedious! Anyway, on to the creations. I hope you enjoy seeing them as much as I did making them.